E89. System error. Contact Xbox Customer Support. 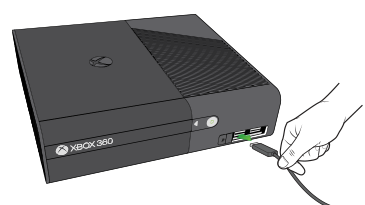 This could mean that the Xbox 360 console you’re using has a hardware failure and might have to be repaired. To resolve the problem, try the following solutions. Turn off the console and unplug its power supply. Unplug all accessories connected to the front and back of the console, including video cables, network cable and USB devices. Do not remove the hard drive. Reconnect your console’s power supply, and then turn the console on. Reconnect each accessory one at a time, starting with a controller. Then, turn the console on and check the console power button. If the power button light is green, connect the next accessory. 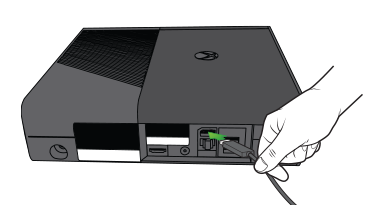 Xbox 360 E or Xbox 360 S console: If the power button light is red after you reconnect a specific accessory, that accessory is faulty and should be replaced. 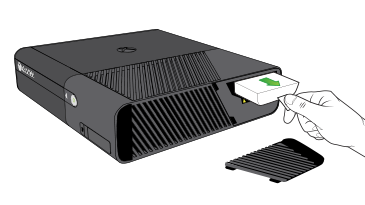 Original Xbox 360 console: If there are flashing red lights around the power button after you reconnect a specific accessory, that accessory is faulty and should be replaced. Repeat step 4 until you have reconnected all accessories. If the power supply light remains green after you have reconnected all accessories, your issue may have been a loose accessory connection. If you cannot determine that a specific accessory caused the problem, there might be a problem with the hard drive, and you may need to remove it from your console. On the right-hand side of the console, locate the hard drive cover release. It is close to the back of the console. 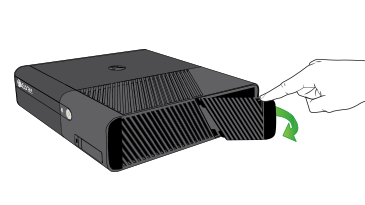 Slide the release diagonally (down and toward the front of the console) while pulling the hard drive door open. Pull the tab to remove the hard drive. Replace the hard drive cover before turning the console back on. Slide the release towards the front of the console while pulling the hard drive door open. Replace the hard drive cover before you turn on the console. Locate the hard drive on the top of the console (or on the left side, depending on how the console is oriented). Press the release button on the hard drive. Lift the hard drive away from the console. Remove any USB flash drives that are connected to your console. If these solutions don't resolve the problem, go to the Online Service Centre and click Start Request to request a repair. Would you like to contact Support regarding the "Error code E89 occurs when you use an Xbox 360 console" issue you were reading about or a different issue?